Summer is in full swing and you need to be ready! Hawaiian Tropic is a leading brand of sunblock that has been around for some time now and always has great products to keep you and your skin save and painless. I personally love the sprays, I cannot stand the feeling of lotions on my hands especially when it leaves a sticky feeling. Hawaiian Tropic Sunscreen Silk Hydration Moisturizing Broad Spectrum Sun Care Sunscreen Spray is a great place to start it comes in both a 15 spf and 30 spf. Not only does it go on easy it smells great, has like a coconut smell to it. This one I apply daily to myself and kids, it is great for just a everyday moisturizer and I know that when we go outside we are ready for anything the sun wishes to dish out. 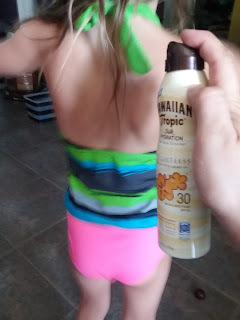 When heading to the water park we need a little better protection especially something which is waterproof because there is nothing more annoying then reapplying sunblock over and over, especially when having fun. Hawaiian Tropic has a few options of sunblock just for this reason. Provides high performance and indulgent protection that can stand up to any outdoor activity. Spray lightly mists the skin to create an indulgent experience and smooth, breathable finish. Is a light and breathable formula that keeps up with your active outdoor lifestyle - you'll love how it's sweat-resistant during your favorite sports. The last thing you want is a sunscreen that clogs your pores. Ultra-light, high-performance protection for skin that looks and feels beautiful, even when you're active. 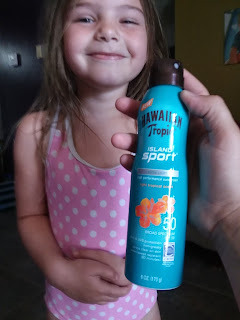 Like I said before I really hate lotion but this is not to bad, I use it mostly on my kids because I can see where I am applying so they stay safe. It also don't leave a sticky feeling my hands actually feel smooth afterwards. Containing hydrating ribbons of luxurious silk protein and Shea Butter, Hawaiian Tropic Silk Hydration Weightless Face pampers with 12 hours of moisturization leaving skin soft as silk. The formula leaves you feeling hydrated and pampered like no other sunscreen can. 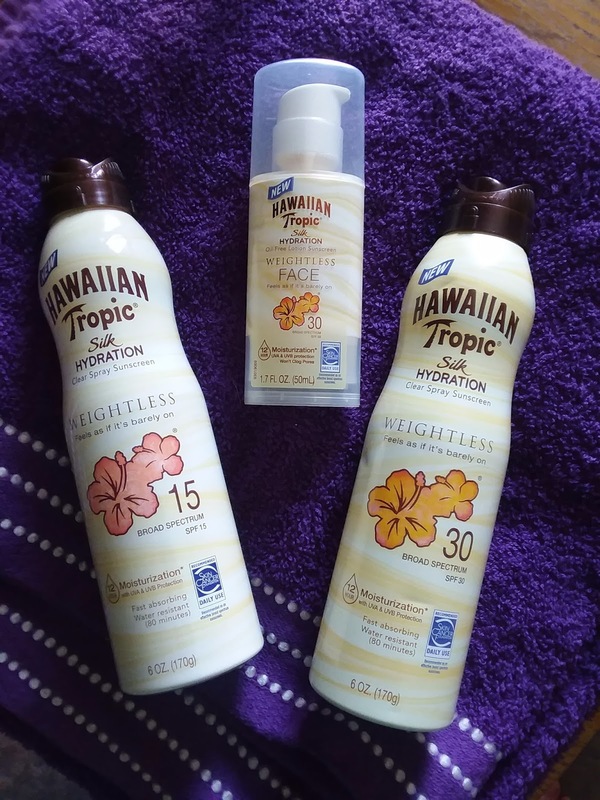 You can find these great products from Hawaiian Tropic's at your local retail, corner store, grocery, Amazon and more. 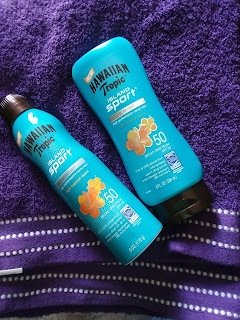 Check out the other products and gear from Hawaiian Tropic here.